African high-tech startups are minuscule compared with their US and European peers but they are finally gaining momentum and attention in some of the world's most promising economies. "There are little glimmers of light everywhere" in Africa, said Gilles Babinet, a digital technology expert with the European Commission. The World Bank recently counted some 443 African incubators—firms that back new businesses with funds and expertise—compared with around just 10 at the beginning of the decade. Investment fund Partech Ventures estimates African startups raised $560 million in 2017, up more than 50 percent as the number of deals soared 66 percent to 128 from a year earlier. The sums are still very far from the 20 billion euros ($22.6 billion) raised last year by European startups, he told AFP. "And there is still a lot of work to do to establish solid, lasting (digital) ecosystems." Blessed with untold resources, Africa's economic development has long been hobbled by weaknesses in governance, finance, energy, health and education. One of the most important changes has been in communications, with consultants Deloitte estimating that about one in every two people out of some 1.2 billion Africans will have access to a mobile phone by 2020. African startups "are in the process of providing more and more sophisticated (mobile) financial services ... including saving accounts, credit lines and insurance", said Tidjane Deme of Partech Africa, a unit of San Francisco-based digital investment firm Partech Ventures. 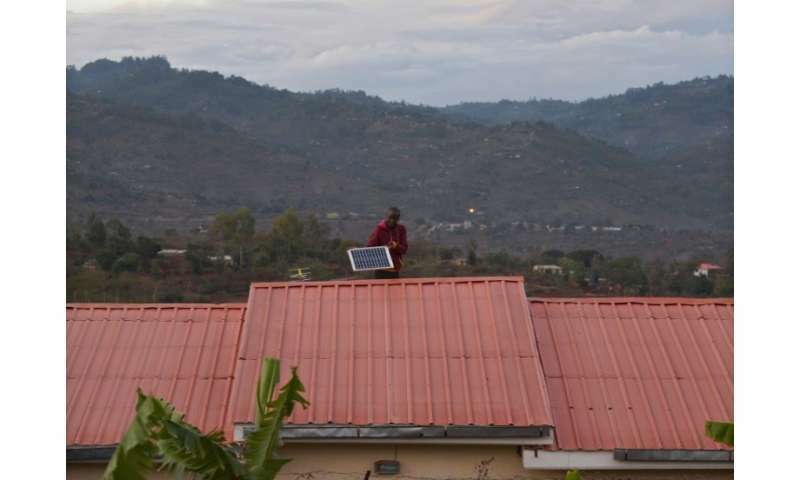 In the Kenyan capital Nairobi, M-Kopa will install solar panels on a person's house for an initial $35, followed by 365 micro-payments of 45 cents over their mobile phone after which they belong to the homeowner. In transport, the Nigerian startup Trade Depot uses a mobile phone platform to put the countless small shop owners of the "informal" economy in touch with large manufacturers, say of soft drinks of beer, to arrange purchases. "In Africa, when there is a problem, there is always a solution and the idea of a startup," says Samir Abdelkrim, author of "Startup Lions", which charts his experience in the sector. "There are other markets where there is a lot going on," such as Ghana, Tanzania and Uganda in English-speaking Africa, or francophone Senegal, Ivory Coast and Cameroon, says Deme. "Rwanda is really something special given that this is a country so affected (by violence) but which has managed not only a transformation in its mindset but also in its economy thanks to its digital approach," said VivaTech founder Maurice Levy. This year's edition of Viva Tech will take place from May 24-26, with a special focus on Africa.